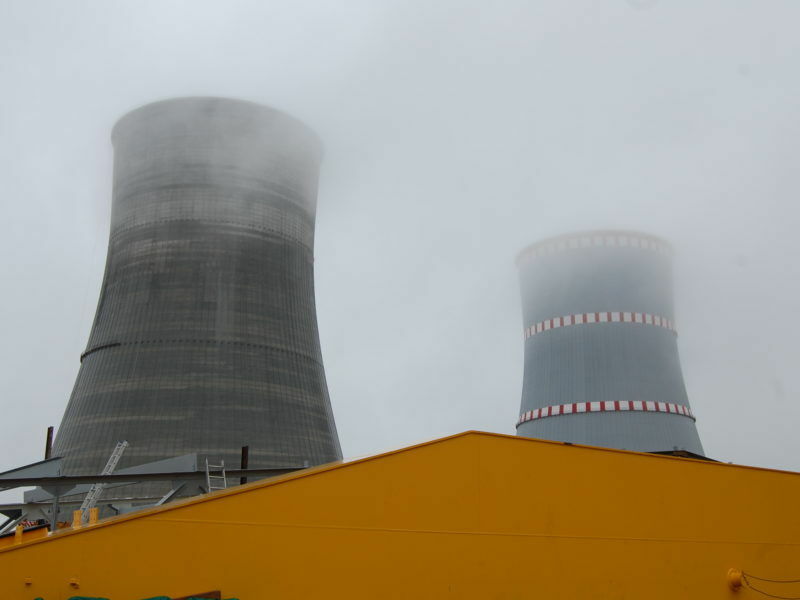 EU investigators concluded on Tuesday (3 July) that an under-construction nuclear power plant in Belarus complies with the bloc’s so-called ‘stress tests’ but made a number of recommendations to the national regulator. The European Nuclear Safety Regulators Group (ENSREG) gave the Ostrovets nuclear power plant, which is situated near the Lithuanian border, an “overall positive” review, following a site investigation that took place in March. The stress tests are meant to ensure nuclear power plants comply with strict criteria established by the International Atomic Energy Agency (IAEA) and were specifically set up by the European Commission and ENSREG as a direct reaction to 2011’s Fukushima nuclear disaster. Nuclear experts praised the Belarusian authorities for complying with the review, even though Minsk had no obligation to do so, given that it is not an EU member and is more closely tied to Moscow than Brussels. In a detailed report, ENSREG addressed three main areas: the site’s resilience to extreme natural events like earthquakes and flooding; the capacity of the plant to respond to electric power outages; and “severe accident management’. According to the findings, the site is resistant to earthquakes, flooding and extreme weather, although the investigators warned that seismic data was not fully available and called on the regulator to make sure run-off water cannot enter safety-related buildings. But critics of the choice of site have accused Belarus of ignoring scientific advice produced by its own institutions on susceptibility to earthquakes. A report seen by EURACTIV from 1993, authored by the Academy of Science, concluded that out of 70 sites evaluated, two locations on the eastern frontier with Russia were preferable. 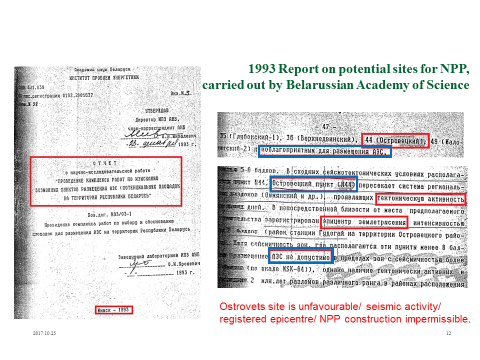 The report also insisted that the Ostrovets site “must not be considered for a nuclear power plant, because of registered seismic activity”. Belarus, including one of the members of the country’s national science academy, claims that the report was flawed and that the techniques used did not produce accurate findings. ENSREG’s new report also praised the heat removal safety systems of the plant, as they are able to operate passively for a 24-hour-period even during blackouts. However, the report suggested that extra contingency measures like backup water pumps should be installed. Other parts of the report’s positive assessment included the advanced training centre on site, which is complete with a dummy control room that can simulate most emergency situations, and the plant’s in-house fire brigade. However, Belarusian green NGO EoHome insisted that accident management and safety systems are not fully in line with criteria set down by the Western European Nuclear Regulators Association (WENRA). The Belarusian group called for the local population to be included more in the discussion following the release of the stress test results. ENSREG also urged the national nuclear regulatory, Gosatomnadzor, to take its report into account and draft a new national action plan, which should also “be subject to a future review”. Lithuanian Foreign Minister Linas Linkevičius said the recommendations should be fully implemented, adding that what happens next will affect EU-Belarus relations. Belarus is building the Ostrovets plant near the Lithuanian border and the site is less than 50km from the capital, Vilnius, which has prompted strong criticism and opposition from the Baltic EU state. Russia’s state-owned nuclear outfit, Rosatom, is providing the technology and know-how to build the plant and although Belarus claims it will help it cut its reliance on Russian gas, Minsk has committed to an exclusive nuclear fuel contract with the company. Lithuania’s president, Dalia Grybauskaitė, last year branded Ostrovets a “Russian geopolitical project” and pledged to do everything in her power to halt it. 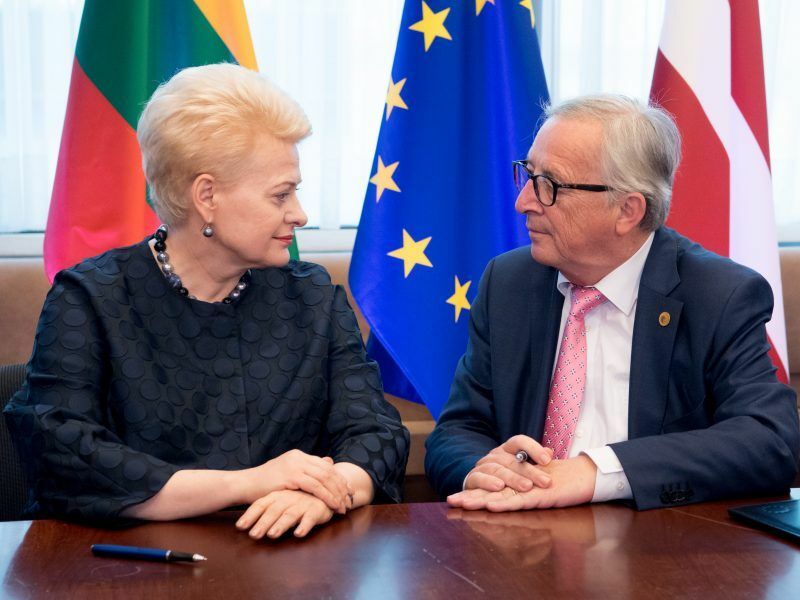 The Baltic nations, Poland and the European Commission agreed Thursday (28 June) on a roadmap to synchronise the region’s electricity network with the rest of continental Europe’s by 2025 and end their reliance on the Russian grid. Lithuania has made it clear that the country has no objections to Belarus pursuing nuclear ambitions and Ambassador-at-Large Darius Degutis, who follows the issue closely, told EURACTIV that his country would even have considered investing in such a project if done correctly. 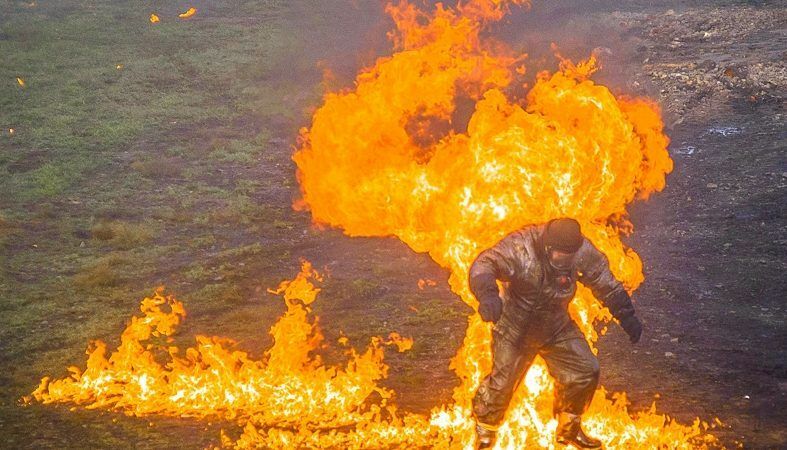 But Degutis warned that the stress test, although seemingly granting Ostrovets a clean bill of health, “confirmed the Ostrovets Nuclear Power Plant is unsafe”. He added that the review neglected to address issues like site selection, the absence of adequate protection against heavy airplane crash and an on-site culture of covering up incidents during construction. The latter point refers to an incident in 2016 when a reactor vessel was dropped from a height of several metres during transport. It took several weeks for details to emerge, although both Rosatom and Belarusian officials insisted there was “no technical obstacle” to using it. Eventually, pressure told and the Russian company agreed to replace the 300-tonne component. However, in July 2017, another transport mishap occurred when another vessel hit a pole next to the railway line, damaging the protective casing. Close inspection by plant officials and Russian engineers revealed the casing had done its job and the vessel was subsequently installed. Degutis added that the stress tests are in fact not an “overall safety assessment” and insisted that the operating licences should not be issued until full implementation of ENSREG’s recommendations is completed. He added that the Commission should “stay engaged” with the process and to follow up with further monitoring missions. In a statement, the EU executive said it “welcomes the completion of this work and looks forward to the next phase of the process and continue working on the proper implementation of the findings”. The plant is due to start coming online next year.